contradiction (and the decisions that provide solutions to it,) that nourish and motivate Chloé's work.As much a film music enthusiast as an accomplished guitar player, she stumbled into the electronic scene early on, developing an unwavering curiosity for sound machines. Herappetite for vinyl would substantiate a DJ career full of subtle explorations. 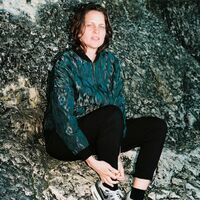 Since her first EP, Erosoft(2002), Chloé, not satisfied with merely stringing together purely functional tracks, has been telling stories.Many EPs and remixes would follow, on labels such as BPitch Control, Live at Robert Johnson, Kill the DJ, My Favorite Robot, or Throne of Blood, and would open her up to headlining gigs at clubs around the world, having built a reputation for sets that thrillby the sense of coherence with which she reconciles eclectic styles.An obsessive seeker of new sounds, she assembles and blends together unlikely tracks, creating subtle contrasts that come together into singular mixes. Her two LPs fit within this narrative continuum: The Waiting Room (2007) and the Victoires-nominated One In Other (2011),with their deft handling of aesthetics, have stood the test of time.This desire to eschew readymade formulas,and her constant research into musical and human matters, gave her the impetus to start her own label, Lumière Noire. The label provides her with a platform to help her protégés –a selection of artists such as Il est Vilaine and Sutja Gutierrez,whose work she fell in love with during her many travels–to hatch their projects. That is because one of the main characteristics of her two decade-long career is not only her exacting standards, but also her curiosity, a trait that inevitably leads to interesting encounters along the way.Her collaborations are the other engines of his permanent reinvention: withher willingness to step into the other artist's perspective, she seeks to undermine the pitfalls of facile references,injectinga constant element of surprise. These reconciliations encompass all musical genres and disciplines,and create lasting relationships, as with the duo Nova Materia, whose records she now produces Chloé has also ventured into musical analysis, working alongside Ircam(the French institute for music and sound science,) which opened her up to a completely different reading level, encompassing everything from electro-acoustics to the spectral school, ultimately enriching her sound palette. She furthered this approach by revisiting Steve Reich for the "Variations" series for France Télévisions, improvising in duet with academically-trained Bulgarian percussionist Vassilena Serafimova. Forever inclined to push the boundaries of her art, she gladly absorbs any and all innovations, such as 3-D binaural spatialized sound, as with hercollaboration with French national radio (including the "Séquences" collection in collaboration with its TV pendant France Télévisions.) Similarly, Chloé collaborated with Ircamon an interactive live project, "Chloé x IRCAM," in which the public was invited to interact with music. The project took the form of an ever-evolving permanent installation.Beyond that still, Chloé works to set music to image. The soundtrack of Lidia Terki's film Paris La Blanche,on which she collaborated through its short-form origins all the way to its feature-film incarnation, notably led her to compose for the first time using the oral tradition of Kabyle musicians, leading to improvisational ephiphanies. She was awarded the Cinémathèque Française’s commission for the music of Hitchcock's last silent film Blackmail, as restored by the British Film Institute. The result is a humbly subtle,yet just,live interpretation of an original score, which accompanies the film without overpowering its image. Chloé naturally continued to broaden her discourse towards the contemporary art world, collaborating with Franco-Lebanese artist Anri Sala on a live score for his video "Ravel Ravel Unravel"at the 2013 Venice Biennale. This year, it is the artist Xavier Veilhan who invited her in residence at Venice Biennale’s Studio Venezia, of which he is curator, and where she will create a new play in July 2017 in collaboration withVassilena Serafimova.Chloé is about to release her third album Endless Revisions, an impressively rich and mature outing, on her own label Lumière Noire Records. The album cover features the work of artist Noémie Goudal, whose dialectic exploration of natural and built environments echoes Chloé's sonic landscapes. Goudal also photographs her own monumental installations, which evoke the desert, the mountain, which inspired the title that serves as a title to one of Endless Revisions' tracks. To the question of why he insistedto climb Everest, English mountaineer George Mallory famously replied "because it's there. "An answer that sums up the appetite that Chloé herself has for the world around her.